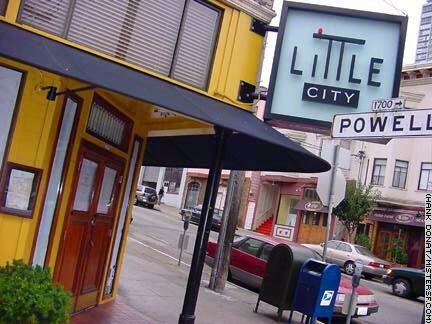 Little City was a fixture on the corner of Powell and Union Streets in North Beach. Months after the place closed for "remodeling" in 2001, a lot of folks were not surprised to learn that they're favorite antipasti bar had closed for good. The old remodeling notice is an oft-used ploy by restaurateurs who want to either save face or buy time to find investors. Whatever the case, new owners reopened the Little City location, 673 Union, as Mel Hollen's in 2002 and closed it later the same year.